Daddy loaned me his 75-300 mm lens this week. 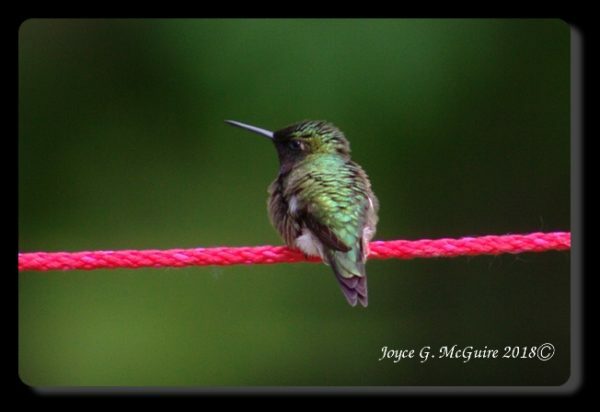 It has been fun trying to get pictures of our hummingbird. Hopefully, he will come back and pose for me again soon. Nice! We have a couple of little hummingbirds here that are fun to watch. Someone said the same 5 one day. They rarely sit still for a photo!